Gripple Express Hanger offers a fast locking solution for the suspension of a variety of services. Their design includes a keyless release mechanism and ergonomic buttons for rapid adjustment. They are up to 6 times faster to install than traditional methods. This XP2 version is load rated at 45kg with a 5:1 safety factor, making them ideal for HVAC, mechanical and electrical applications. Check out our video to see how easy it is to use the end fixings that are available with Gripple kits. Supplied as a ready to use kit, with a Loop End Fixing perfect for looping around purlins, beams, roof trusses and other accessible building features. 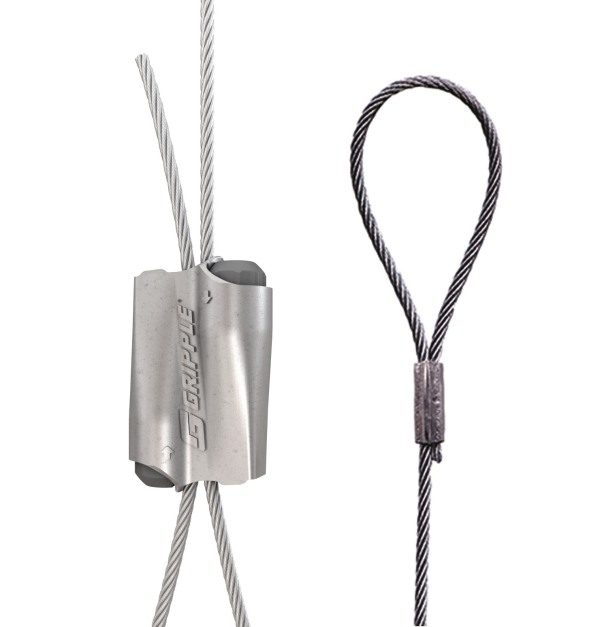 This end fixing allows for suspension using a simple, non-invasive, choke knot technique and has a safe working load (SWL) up to 325kg. Available in lengths of 1 to 5m.